If you need to revert to an older version of your file, or if multiple users are working in a file and you'd like to compare versions, you can use Version History to view or restore an earlier version of your file. 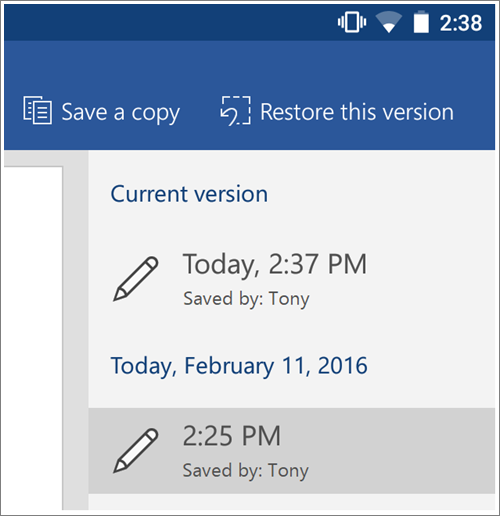 Here, you can compare versions, save a copy of a version, or restore a version. Tip: If you're unable to restore your version from here, log into the library where your document is stored (OneDrive or SharePoint) using your web browser, right-click the file and try to access version history from there.